It has to do with what’s going on in Ukraine right now. With the separatists in the east. Every time I try to listen to the news on this issue, my brain just wants to shut off. Sometimes I stare at the TV and don’t take in a word. Sometimes I have to force myself to listen to a NewsHour segment two or three times. Sometimes I have to threaten myself I will start TAKING NOTES like a STUDENT unless I pay attention and listen the first time. It’s just been this huge battle though. With my brain and the not-listening thing. It’s been really bothering me. Because I only do this when I don’t see a reason to care. It’s not that I don’t care about all of humanity, or care that this fighting is going on, or care what happens to Ukraine. It makes the NewsHour agonizing sometimes. I decided I needed to do something. I needed to figure out a way to make my brain care. My book people, of course. This whole situation is so similar to what I wrote about in The Etiquette of Wolves. And once my brain could put faces of people I cared about on the issue, I suddenly found myself able to absorb detail like a news journalist reporting in country. So if you’ve read my first novel, then I hope you enjoy my comparison here, and perhaps learn something more about what’s going on in Ukraine right now. And who knows? Maybe this will help someone else absorb detail during news segments on the separatist movement. Cause I think being able to care about the news by making it more fun and entertaining is always a plus. And if you haven’t read my first novel — you should probably stop reading this post — unless you like spoilers. In which case, read on. Okay, so first I needed to remind myself who the characters in the Sons of Rome were. Because my brain cannot instantly recall data like that. It takes a while. But, given enough time, and a copy of the book to flip through: success! In the hierarchy of men who compose this corrupt organization, which is also known as the Pack, Dean Declan was the baddest of them all. He was the Pack’s Dux Ducis, which is a Latin word for commander. Current President of Russia. He’s been in power since 1999 as head of state, serving continuous terms as either Prime Minister or President. Putin is the Dean Declan of the Pack. And what is the Pack? That would be Russia, of course. Look at how teeny tiny Ukraine is compared to Russia! In my novel, the Pack is in charge of a system of tunnels that stretch beneath the grounds of a fictional college campus, as well as tunnels beneath the woods that connect to the campus. Think of Moscow as being “home base” for the Pack–or the Alpha Tau fraternity house in the story. Moscow is Putin’s home base in real life, and the frat house is the Pack’s home base in the story. Now think of Ukraine as being Kim Korra’s farmhouse. In my story, the land in Kim’s backyard was important to the founding of the Pack. It was the land where the original Pack held ceremonies. Why is this bit of history important? Because around 1,500 years ago, Ukraine was actually the original Russia. During Roman times, a group of people called the Slavs expanded into southern Russia, travelling up the Dnieper River and founding places like Kiev, and the region we now know as Ukraine became Russia’s first civilization. The Slavs who settled there were eventually brought under Byzantine influence by Greek Orthodox missionaries. Around 863, two Greek monks, Cyril and Methodius, adapted the Greek alphabet so they could translate the Bible into Slavic languages. This Cyrillic alphabet became the written script used in Russia and Ukraine to the present. Now, both Russia and Ukraine might use a Cyrillic alphabet, but Russian and Ukrainian are two distinct languages. Today, the dominant language of Ukraine is Ukrainian (native to 65% of the population), and Russian is the native language of 33% of Ukraine’s people. So 2/3 of the people in Ukraine are native speakers of Ukrainian, and 1/3 are native speakers of Russian. This is important to keep in mind, as language is playing a huge role in the current separatist movement today, just like the use of Latin by the Pack in my story had its own role to play. Given the fact that Ukraine formed Russia’s first civilization, when it comes to understanding the region’s history in the 20th century, and the rise of the Soviet Union, it seems like a given that the Soviets would want to have control of Ukraine, right? Pretty much a no brainer. Everybody knows the Soviet Union fell apart from within, crumbled and dissolved like the shoddy philosophy that forms the backbone of Communism. In reading history, I have learned that Marx had access to data that refuted his ideas, and yet he ignored that information and still wrote what he wrote, and people still used his work for their own power grabs, and that’s why I believe communism never works on a national scale. It’s also why I do not believe communism is an intelligent system of national government. However, if consenting adults want to live on small communal farms, where they can come and go as they please, cool. Successful communal farms have to maintain an open-door policy to thrive. Because forcing people to live as communists never works. Because the theory of communism is flawed. This is my opinion, and this is how I explain to myself the internal collapse of the Soviet Union. But back to my analogy with the current situation in Ukraine. Back to Putin. Putin still has a Soviet Union mindset. In fact, many of the men in charge in Russia right now still do. Ukraine was Soviet territory, and many of those men still see it that way. Post-Soviet Russia is a world full of corruption. Just like the Pack. Putin even got his start in the KGB, and he wasn’t the only one. His little oligarchy of sycophants are all these “we will make our enemies disappear” types who seem to have no qualms about killing anyone who’s causing “a problem” for them. There have been numerous reports concerning the corruption and overall scummy behavior going on with these men. Poisonings, torture, murders, imprisonments, etc. Bribes, bribes, bribes grease the financial wheels of modern Russia. You name it, and it’s happening there. So Putin is the Dux Ducis, and I’d like to point something else out here, too. Something really cool about the title Dux Ducis, and why this is such a cool language link. Now, a lot of you probably already know that the word czar is the Russian word for Caesar (which is Latin). Sounds like a perfect recipe for corruption, doesn’t it? Let’s just give our leader the authority and might of a God, and see how that works out, m’kay? Cause this plan has always been so ideal throughout history, hasn’t it? I just love that there is this Roman element tying historical Russia to modern Russia, and then linking my analogy with my novel to modern Ukraine. Because in my analogy, the Pack’s worship of Latin is like Russia’s worship of Russian. We’re talking about tradition here, and control, and power. Language is power. Controlling language is power. Ever since the collapse of the Soviet Union, Ukraine has been under Russia’s control. This year, the Ukrainian people largely said “no more” to this system. They wanted something different. So they rid themselves of their Russian-controlled government, and tried to make something new. 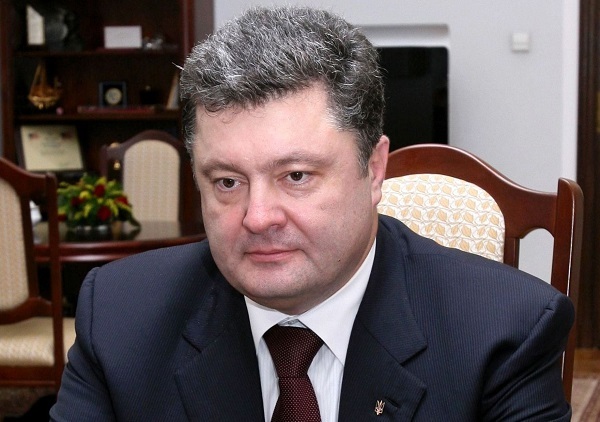 They have a new President now, and his name is Petro Poroshenko. Petro Poroshenko is the Dean Caffrey of my novel, the man who must set himself apart from the Pack and create something different. In my story, Dean Caffrey taught a business class for Timberline and Alistair, and Dean Caffrey is also a member of a group called the Animas, an opposition group to the Pack. In my real-world analogy, the Animus is the European Union, the organization many Ukrainians want to join. It’s the whole reason Ukraine’s Russia-dominated government fell, the whole reason why Petro Poroshenko is now in charge. Poroshenko’s home base is Kiev, the capital of Ukraine, and you can think of Kiev as Kim’s farmhouse, and the land of Ukraine as her backyard. Kim has a fairly large yard in the book, and there is a small area right next to the trees that she calls her meadow. At the end of the book, this is where the men wrestle, to decide once and for all who should be in control–Dean Declan or Dean Caffrey. Vladimir Putin or Petro Poroshenko. What land is the meadow in real life? Eastern Ukraine. Where the Russian separatists are. Who are these Russian separatists? They are members of the Pack, aka Russian forces, being sent into the meadow to battle it out for control of the land. To bring the land, and this upstart breakaway group of the Animas (Poroshenko and the EU-loving Ukrainians) back into line. The Pack speaks Latin, the Russian forces speak Russian, and Poroshenko and his side speak Ukrainian. Does Putin want all of Ukraine back under Russia’s control? The answer is yes, of course he does. The fighting in eastern Ukraine is great for him. If he can seize territory for Russia, awesome for him. He’s hoping that Poroshenko’s government in Kiev will collapse, and that Ukraine will become a failed state. Because we all know what the heck happens to a failed state. A power vacuum is a perfect situation for a foreign takeover. Just look at what’s going on in Iraq and Syria right now. It comes down to a question of force. Who is stronger? The Animus or the Pack? Taken like that, the Pack is definitely stronger. Russia is definitely stronger than Ukraine. But there is one more player in the story, and in real life, and that player is NATO. In 1949, the United States, Canada, and nine Western European countries formed a new military alliance called the North Atlantic Treaty Organization. Members pledged to help one another if any one of them was attacked. In my story, NATO is an alliance made by these individuals: Kim, Cadence, Timberline, Alistair, Jimmy, Noelle, Zach, Max, Evan– the friends banding together to survive against the Pack. In the story, Dean Caffrey and the Animus join forces with the Jimmy/Cadence alliance. In real life, Ukraine wants to join forces with NATO. Ukraine wants to be admitted as a member of NATO. Control is a drug, a very powerful drug. And, like the high from a drug, it is a delusional power. Do I think all the people of Russia are bad? Of course not. Do I think all people of Russia are corrupt? No. Do I think Putin is evil? No. Do I think Putin is delusional? Yes. Does being delusional make him evil? No. The world is what it is, and people struggle to find their own ways. Ukraine is doing that right now, and so is Russia. I just needed to be able to “give a face” to a large, nuanced, and multifaceted issue consuming large amounts of time on the PBS NewsHour, so I could listen more carefully. This is simply what my brain delivered to help me listen better. I’m an American, and I’m obviously biased toward America, and toward NATO and the EU. You can see all of my biases quite clearly in this analogy. So I thank you for reading my mental gymnastics. Do you think I missed anything? Do you see a better comparison? I’d love to know!